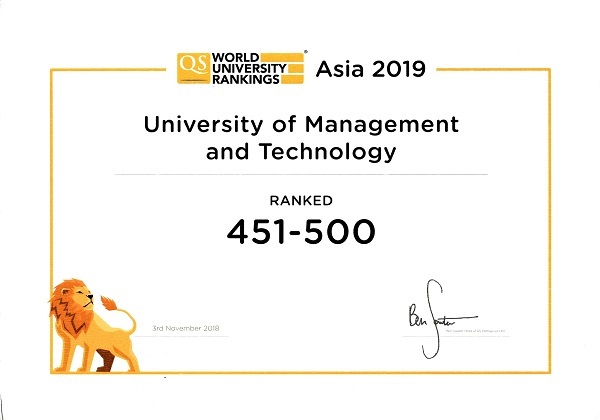 UMT has been awarded the certificate for being ranked among the Top 500 universities in Asia by Quacquarelli Symonds (QS) Ranking System. Dr Muhammad Aslam, Rector UMT, received the certificate from Shafqat Mahmood, Federal Minister for Education and Professional Training, along with Ashwin Fernandes, Regional Director, Middle East, North Africa, and South Asia QS Intelligence Unit, in a ceremony organized by QS at University of Lahore on March 29, 2019. 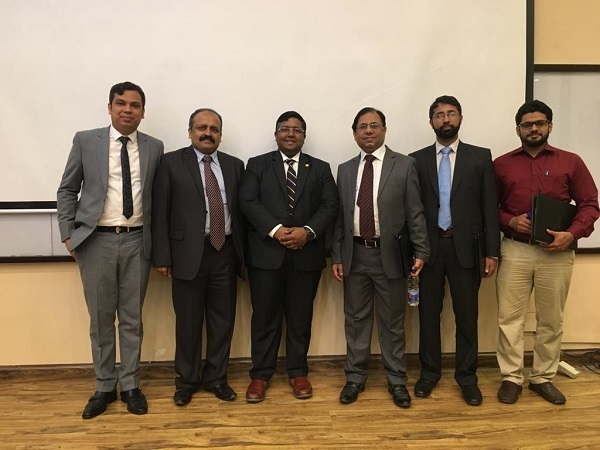 UMT’s efforts for representing Pakistan among top quality international universities were lauded by the representatives of QS as well as other institutions present in the ceremony. Achieving this distinction is attributable to UMT Leadership, Quality Enhancement Cell, faculty, and staff who work devotedly and contribute to UMT’s success are congratulated.